Probably the biggest reason I want to do a motor/trans swap is the cost of just rebuilding the 'stock' trans let alone any high performance upgrades. But until I have all the swap parts, i need to have this working to it's potential. (I'd rather NOT look at a $2500-$3000 "stock" rebuild when I can get a 'yard' trans and do it myself if I can get a kit..
ANY good info is appreciated. ALSO, it looks like the a650e was used in a number of Lexus vehicles. So, does anyone have insight of swapping torque converters from lighter vehicles may give a higher stall, or different valve body or shift sensors from other model cars give better performance? So now just need knowledge on any special tools or the like. There are a few companies that sell upgrade parts. As for a manual. I do not recall seen a PDK file. I do own a factory manual. I found it online a while back. I would ask if you have a lot of experience with rebuilding electronic controlled transmissions? If not. I would just get Jeff at Powerdynamix Engine Performance Upgrades | PowerDynamix to build it. My transmission is doing the same thing for 5th gear. I just keep using the e-shift. I just keep it at 4 then when I get to a certain rom for 4th, I just change it to 5th. It’s annoying but I’m just dealing with it. If you find something to help this issue, please post it. I would like to try and get it fixed. I bought a used transmission from Ebay. It was to my door for about $500. If you sign up for 3 days for $15, you can download all the PDF's for the IS300 including the one for the transmission. I've had 2 of these apart when I did my V8 swap. 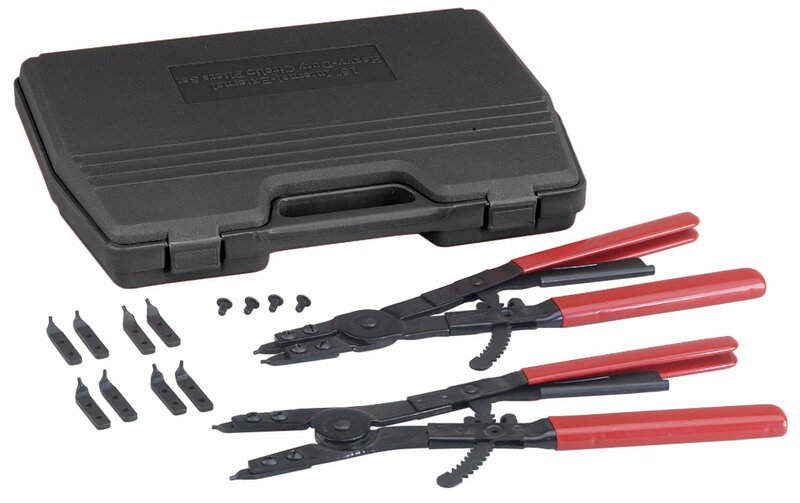 You need a monster snap ring pliers set to take them apart. Personally, I'd buy a used transmission before I tried to rebuild. Transmission parts are insanely expensive. A couple shift solenoids cost more than a complete used transmission. So.. YOU rebuilt a A650e 5spd auto out of an IS300? Any knowledge on which solenoid might be the one in question? I have a few connections for new trans parts. Did you do a "stock" rebuild or make any improvements like the Trans-Go kit? Can't be all that hard. I've rebuilt a few GM and Honda auto's, and they operated fine. That CR-V one was a pain though. I mean, it's all of 1.5 feet of parts. Which brings me to the other point.. It's just amazing to me that when you call Toyota and ask a 'tech' they act like you cursed the holy grail by suggesting such nonsense..
One of my Ebay suppliers might know, and since I made some purchases with them, I think they should be able to find out! Might take a bit, but I'll dig a little further in this and I'll be sure to let you guys know. I Did order some Amsoil Super-shift racing fluid that has friction modifiers in it to give better 'bite' to the clutch packs. Kinda like using type-F in a GM trans. I dont know about the converters, but i do know the spring packs used in the solenoids are different between the A650E used on the IS/Altezza 2J, the one used on the Altezza RS 3GSE, and the one used on the V8 LS/GS. Chances are the stall will be different as all those engines will have different torque profiles. Sounds like you may try this. Do not buy the Trans go shift kit. The accumulators can be shimmed or buy the new double o-ringed ones that are built with the shims. Also you will need to set the pump to high pressure. There are a few other things. But they require a lot more work. Do not do any more stall. You would need the other work for it to survive. You will also need a aftermarket trans cooler. I wanted a V8 transmissions behind my V8 engine so I disassembled the IS transmission, disassembled the GS transmission. Traded tail shafts and then re-assembled. So I have the GS transmission in my car but I'm using the stock IS driveshaft. If I had it to do over, I might just buy a custom driveshaft for the GS transmission. There is an adjustment in the valve body to make stiffer shifts. You basically just turn a 4 position switch but it's not as hard as a shift kit. The transmissions are pretty tough. Unless you're planning on some serious horsepower increase, I probably wouldn't mess with it. When you disassemble, the manual shows you what to measure to detect wear. For example the GS front pump was pretty close to the wear limits. t's just amazing to me that when you call Toyota and ask a 'tech' they act like you cursed the holy grail by suggesting such nonsense..
Toyota is terrible about parts re-use. Unlike Honda, they think nothing of making parts that look almost the same but won't fit. Case in point is the GS front brakes which look just like IS front brakes but nothing fits. Not the caliper brackets or the calipers. Unlike Honda, unless it has the same part number, I wouldn't assume it'll fit. My IS-auto trans is showing signs of slippage and not shifting. BUT I still need to drive it as a daily. I'm NOT keeping the 2Jz or either of the A650e's I've read and heard that the A650e is 'suposedly' a tough trans. But it doesn't seem like it's doing too good in my car so far with less than 150k on it. And EVERYONE seems to want it to shift differently/firmer..
And asking about the converters etc was that If I have them out already, I might as well try another converter if it would help. Read over your GS400 trans work, and it sounds good. How's it working so far? Sorry, just got off work and I'm tired. Can't think straight.